The calendar has turned and more than a few people have been wondering what happened to the Rum Howler at the end of the year that was 2018. He was nearing the end of his Fall and Christmas Cocktail Bazaar and was about to publish his annual lists of top Rums and Canadian Whiskies, when suddenly The Rum Howler Blog went silent on December 12, 2018. The beginnings of the 2018 disaster had its roots in a decision made 18 months previous when my Wife and I, decided it was time to build a new house which featured wheelchair accessibility for my youngest son as we were finding it increasingly difficult to meet his needs in what was then our current home (a two-story with no bath or bedrooms on the main level). So we hired a builder, I helped to design the house, and we built it over the 18 months with a move in date scheduled for December 1 (ish) 2018. Six weeks prior to the scheduled move, we contacted our telephone/television/internet provider (Telus) asking them to have the services moved over by December 11th. At the end of November, I was nervous as Telus hadn’t contacted us or given any indication as to when the services were to be moved. So I called them, several times, and each time was given a promise that an Escalation Manager would contact me promptly to let me know the status of the install. Making a long story somewhat shorter, I was finally contacted in mid December and told that services could not be moved until Springtime when the ground was thawed. It had something to do with the new area I had moved to being a fibre optic only neighbourhood. You would have thought Telus could have told me that in October, not after our move-in date. I think you figured it out. On December 11th, which was when my wife and I moved to our new house we were without that vital link to the blogosphere, the internet. I was able to post one more recipe in my Cocktail Bazaar which had been previous uploaded, but all of my remaining work was on my home computer, and with the Christmas Season in full swing at my retail store, I was not able to post from work either. 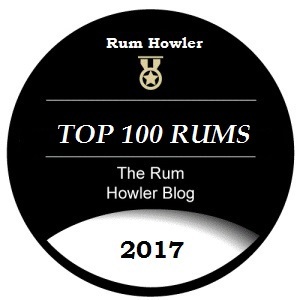 The Rum Howler Blog unfortunately was silenced. However, all was not lost. I contacted Shaw Cable on December 12th, and they were able to schedule a hook-up for December 24th. Issues with the cable line caused the install to be delayed until December 31st and even today (January 3rd), our phones are still not working right. But I do finally have internet. So the reviews and cocktail recipes can finally be reignited. There was a silver lining to all of this. My wonderful wife, Maureen, made a troubling Christmas Season better by presenting me with a Bitter Advent Calendar on December 1st. Each day from the 1st to the 24th I was given a small gift to unwrap and inside was a small bottle of bitters. So during the coming year, I plan to review each of those small bottles giving you my thoughts and recommendations for each of the bitter flavours. With bitters becoming increasingly popular, the bitter reviews should be a welcome addition to my website. Sorry for the rather bitter ending to 2018, hopefully those bitter feelings will converted into something more positive this year. With American Thanksgiving just around the corner (up here in Canada we celebrate Thanksgiving in early October rather than late November), I thought I would share a nice ‘punch style’ recipe suitable for large gatherings of friends and family. The serving is courtesy of Megan Marlowe (Strawberry Blondie Kitchen), and it was sent to me by the USA media team responsible for Smirnoff Vodka. Autumn Harvest Punch combines the seasonal flavours of Autumn fruit (apples and pears) and Autumnal spices (cinnamon, rosemary, and star anise) with a little bite of tropical citrus (lemon juice). A combination of Smirnoff No. 21 Vodka, Apple Cider and Ginger Ale provide the liquid refreshment. When I mixed a small batch for myself, I found the serving quite tasty, although perhaps it goes down just a little too easily. Make sure when you share this recipe with your friends that advise them to enjoy responsibly and choose a designated driver ahead of time for the ride home. Of Course, Please Enjoy Responsibly! Here is a link to the results for Banff Ice Vodka. Please enjoy my review of this surprising spirit! Russian Standard Vodka was introduced in 1998 by Russian businessman and entrepreneur, Roustam Tariko (the owner of Russian Standard Bank). This is a traditional Russian Vodka made from hardy winter wheat cultivated on the Russian steppes. The spirit is quadruple distilled at the company’s distillation and rectification facilities in Saint Petersburg and then blended with the glacial waters from Lake Ladoga (whose waters were chosen for their renowned softness and purity). The Russian Standard Vodka is raised to a final level of purification using a quadruple charcoal filtering process, and then it is finished in steel ‘resting’ tanks before bottling. I recently revisited the Russian Standard brand when I organized a small Vodka tasting for a few friends. 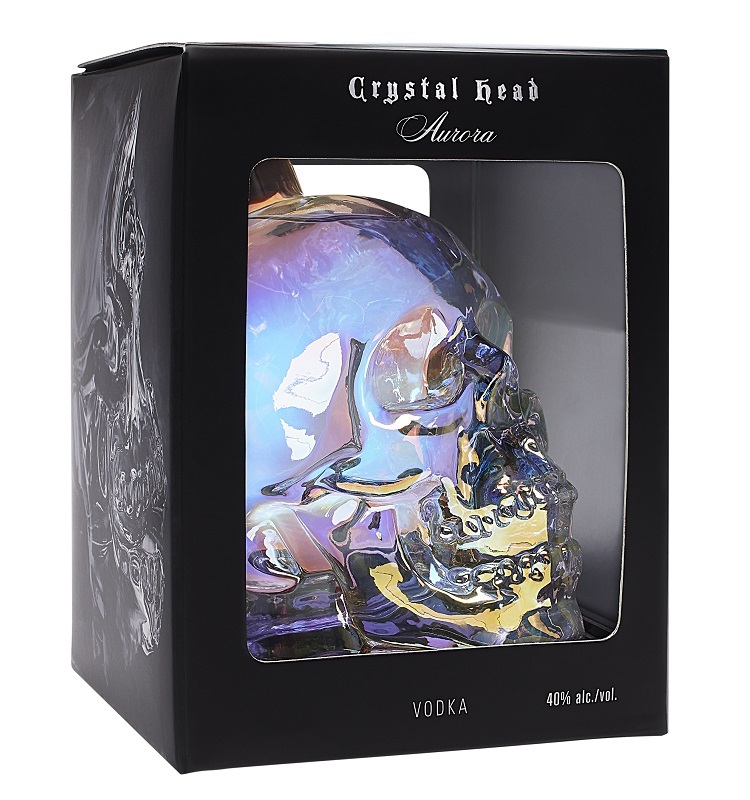 We tasted Russian Standard Vodka, Banff Ice, and Strait Vodka 40. As my previous review for this spirit was published seven years ago I decided that an updated review was in order. Please enjoy my review which includes two cocktail suggestions, the Sweet Moscow Mule and Soft Margaret. There was a time in the County of Red Deer that the county would use rye grain for erosion control on the Range Road near the farm where Ian Scott grew up (Range Road 13). Ian’s Dad who was born in the dirty thirties grew up learning not let anything go to waste so he harvested the grain that fall. Ian, being a bit of a curious young man was inspired to learn how to put that rye grain to good use and he began to research distilling with the aim to build his own still. Although the still was never built, an idea had been planted. Some time later, Ian and his wife, Marnie visited a distillery in B.C. and the idea was rekindled. At about the same time Alberta changed the law which paved the way to allow small micro-distillery start-ups. Ian had already had researched the process, and his work in the Alberta Oil Field gave him the confidence that he could operate the similar distilling equipment and so he and his wife Marnie created the Stone Heart Distillery (located in the town of Innisfail, Alberta). The distillery is a true grains to glass operation, Ian and Marnie mill, mash, ferment and distill their own grain, and they turned to their natural surroundings, adding pure Rocky Mountain valley water to their distillate to bring it to bottling proof. This is truly a true family run operation, from grain to glass. Ian Scott sent me two bottle of his vodka, one from batch 17, and one from batch 18 made with a different variety of wheat. He asked me to sample each of them and send him back some feedback. When I tasted the Stone Heart Vodkas for the first time, I conducted a side by side tasting with several other locally produced craft vodkas. From that line-up, I chose the two which I felt were the best spirits and decided to write full reviews for them. 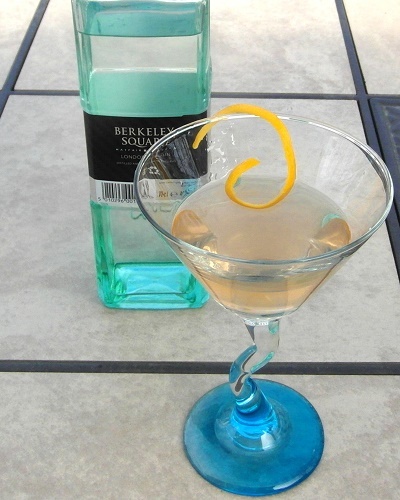 Please enjoy my review which includes a nice recipe to gear us up for summertime, the Vodka Darby.